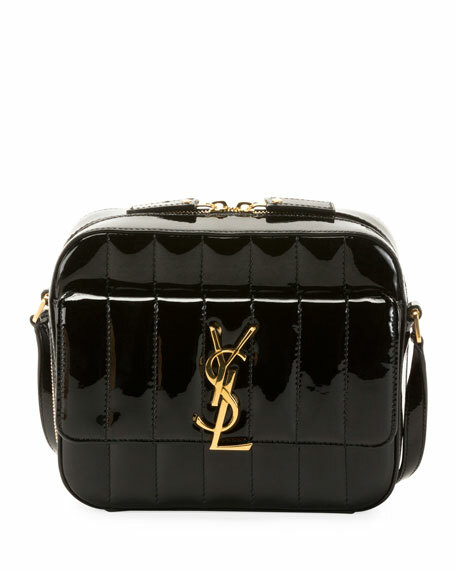 Saint Laurent camera bag in quilted patent calf leather. Adjustable crossbody strap, 22.8" drop. Front flap pocket with YSL monogram medallion.